Happy National Sandwich Month! Now go UpgraDDe your Sandwich with our Sweepstakes! We all have those days. Days when our homemade sandwiches just seem to be lacking in comparison to the mouthwatering sandwiches we had set out to make. Not to mention those days when your lunch just seems to be lackluster and monotonous. 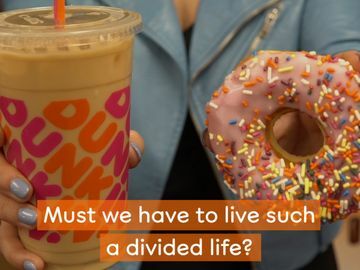 Fortunately, it’s time for an upgraDDe and we’re here to help! In celebration of National Sandwich Month this August, we’re bringing back our popular UpgraDDe your Sandwich Twitter and Instagram sweepstakes! From July 30th to August 1st, leading into National Sandwich Month, we will be asking our fans to submit photos of their lonely, weary and just plain sad homemade sandwiches for the chance to win a sandwich upgraDDe. 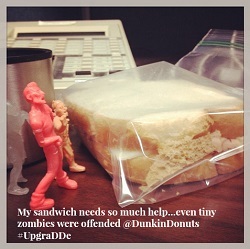 In order to participate we simply ask that you take a picture of your weary, homemade sandwich and tweet it or post it on Instagram, using both @DunkinDonuts and the hashtag #UpgraDDeSweeps. Nine winners will be chosen at random on Friday, August 1st (AKA the first day of National Sandwich Month), and will receive a $100 DD mGift! 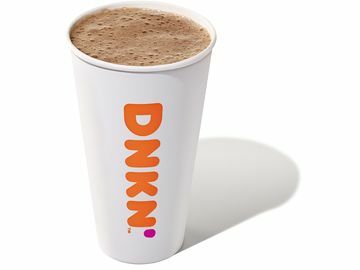 For additional terms and conditions, please visit http://dun.kn/UA0Q7O. 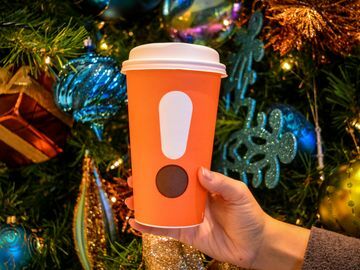 In addition to sprucing up your lunch with the comeback of our exciting sweeps, we’re also highlighting Dunkin’ Donuts’ ability to customize any of our sandwiches to your exact liking, all day long. 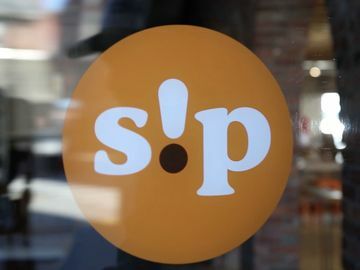 Whether you want chicken for breakfast, bacon and eggs for late night dining, or even ancho chipotle sauce on your Egg White Flatbread Sandwich, we can customize your sandwich just for you. Eat what you want, when you want and how you want. Read on to see how you can customize two of our favorite sandwiches to your specific liking. 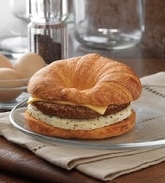 Original: First, we have our Sausage, Egg and Cheese Breakfast Sandwich on a Croissant, which is both mouthwatering and versatile. This sandwich features a tasty blend of egg and cheese and adds a kick of spice with our irresistible sausage. Don’t fool yourself though, this popular breakfast sandwich isn’t only for breakfast, it works well as an all-day dining option sandwich as well! Mix Up Tip: For some additional zest, try pairing this sandwich with our barbeque or ancho chipotle sauce. Also try switching out the sausage for bacon or even ham. Finally, try a different bread entirely, like a French roll or even a Flatbread and make this traditional breakfast sandwich a pm staple! 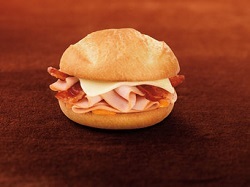 Original: Another Dunkin’ Donuts favorite is our Turkey, Cheddar & Bacon Sandwich. This delicious favorite features sliced turkey topped with our cherrywood smoked bacon and white cheddar cheese (which yes, does taste as delicious as it sounds). But don’t kid yourself, this sandwich, although known as a popular afternoon favorite, also serves well as a breakfast option! Mix Up Tip: For something different, try pairing this sandwich with our ranch dressing or even our ancho chipotle sauce for an extra zip. If you want to make this even more of a breakfast option try switching out the French roll for something a little more breakfast oriented, like a sesame seed bagel or even a croissant. Finally, to make this sandwich all your own, try swapping out the turkey for a veggie egg white omelet or even some ham and an egg to take this sandwich from an afternoon entrée to a breakfast time masterpiece! Try any of the above mix up tips, or some of your own and let us know what you think! 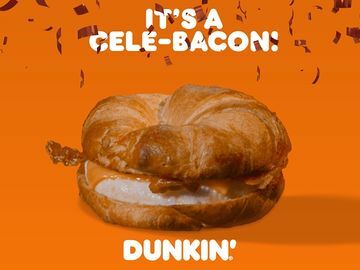 National Sandwich Month runs through the entire month of August so be sure to share your very own Dunkin’ Donuts sandwich mix ups with us on Facebook, Instagram and Twitter! Whether you try one of these suggested sandwich tips or a sandwich creation of your own, we want to hear about it!